China has opened its 2013 account with the launch of a new civilian high-resolution remote sensing satellite called Gaofen-1. Launched by a Long March 2D (Chang Zheng 2D), lift off took place at 04:13 UTC from LC43 at the Jiuquan Satellite Launch Center. The Gaofen program is one of the 16 programs announced by the Chinese State Council for its national scientific and technology programs. This program will become the main civilian Earth observation project, combining the use of satellites, as well as airplanes and even stratosphere balloons. The program began in 2010, with at least 14 satellites set for launch between 2013 to 2020. It will form part of a near-real time, all-weather, global surveillance network for agricultural planning, disaster relief, environment protection, and security. 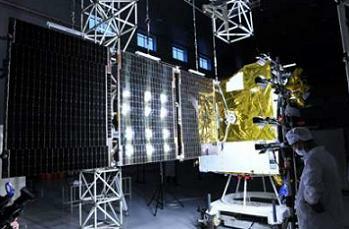 Gaofen-1 is based on the CAST small satellite bus designed, built by China Spacesat Co. Ltd. It is equipped with two solar panel wings. For observation purposes, GF-1 is equipped with a 2 meter resolution CCD camera, an 8 meter resolution multi-spectrum imager, and a 16 meter resolution wide-field multi-spectrum imager. CAST2000 is a small satellite bus with high performance, expandability and flexibility. It adopts S-band TT&C sub-system, X-band data transmission sub-system and 3-axis attitude stabilization, and has the capabilities of highly precise control, large-range sway maneuver, flexible orbit maneuver, highly integrated housekeeping and highly effective power supply. Moreover, it sports “constellation configuration maintenance” and phase control to support formation flight of small satellites. The bus has been successfully applied in several Chinese small satellites, and proven to be of excellent performance and reliability. The satellite bus can be widely applied in different missions, such as earth observation, technological demonstration, scientific exploration, Earth environmental exploration, formation flight and networking, meteorological research and application, communications and navigation. Gaofen-2 is also expected to launch this year. GF-2 will have a one meter resolution pan-chromatic camera and a four meter resolution multi-spectral camera. 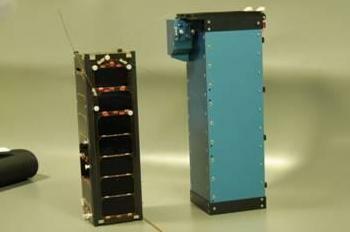 Another three Gaofen satellites are expected to launch in 2015. This next series will include the GF-3 satellite, which will sport a one meter resolution C-band synthetic aptitude radar, while GF-4 will have a 50 meter resolution fixed-point camera in geostationary orbit. GF-5 will use a visible light-near infrared hyper-spectral camera, a full-frequency spectrometer/atmospheric greenhouse gas monitor, an atmospheric trace gas absorption spectrometer atmospheric aerosol multi-angle photometer, and a atmospheric environment very-high resolution infrared radiation detector. Gaofen-6 will be launched in 2016, and will include a two meter resolution pan-chromatic camera, an eight meter resolution multi-spectral camera and a 16 meter resolution wide-angle multi-spectral camera. Gaofen-7 will be launched in 2018 with a hyper-spectral stereographic cartography camera. Launched together with Gaofen-1 were three small CubeSats: NEE-01 Pegaso, Turksat-3USAT and CubeBug-1 ‘Capitán Beto’. 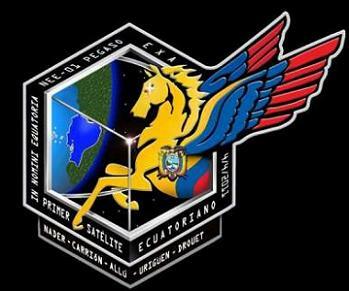 NEE 01 Pegaso is a 1U CubeSat and is the first satellite to be launched for Ecuador. Various tasks will be conducted by the small satellite for technological demonstration and education, mainly the test of real time video transmission, the test of multiphase solar array and a test of a passive antenna deployment system, the test of a thermal and radiation shield, and the test of a carbon nanotubes thermal control system. At launch the satellite had a mass of 1.266 kg – and it is equipped with two deployable fixed solar arrays that generate energy that is stored in onboard batteries. Pegaso was originally planned to be launched on a Dnepr rocket. The first nanosatellite communication mission of Istanbul’s Technical University, TurkSat-3USat is a 3U CubeSat and is a follow-up project based on the ITUpSat-1 (Istanbul Technical University PicoSatellite-1) mission that was launch in 2009. The size of the small satellite is 0.1 x 0.1 x 0.3 m, with a total mass of around four kg, with a C329 UART camera onboard, allowing for occasional snapshots of target areas. The satellite was jointly built with TURKSAT and was also set to ride on a Dnepr rocket. The payload of the TurkSat-3USat is a VHF/UHF linear transponder to be used for voice communication. A deorbiting system is also designed to deorbit the satellite following its end-of-life, in order to comply with the current CubeSat standard and United Nations regulations. The objective of the deorbiting system is to deorbit the nanosatellite within 25 years, by increasing the drag force exerted on the vehicle by means of enlarging the frontal surface area with a lightweight thin membrane. The power its satellite operations is provided by using solar panels and lithium polymer batteries, together with super capacitors. Satellite stabilization will be accomplished using passive magnetic attitude control system with hysteresis rods. From Argentina comes CubeBug-1. Also known as ‘Capitan Beto’, this 2U CubeSat is the first technology demonstration mission for a new CubeSat platform design (mechanics, hardware and software, intended to be released as Open Source and Open Hardware for its use in Amateur projects, University projects and research labs. This project is sponsored by the Argentinian Ministry of Science, Technology and Productive Innovation, INVAP S.E., Satellogic S.A., and Radio Club Bariloche. 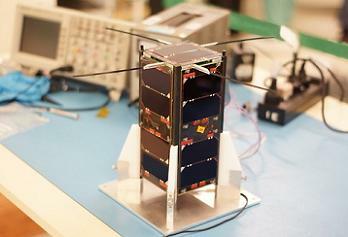 The satellite includes custom designed components, such as the COTS-based ARM based on-board computer, a nano-reaction wheel with its driver circuit and a low resolution camera. After the technology demonstration part of the mission is over, the satellite will enter a mode that will include services to the Amateur radio community, including a Digipeter and science data downloads from the payload. 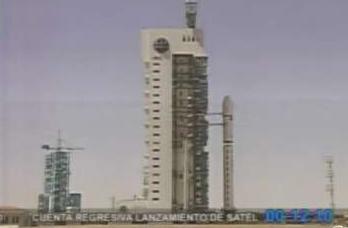 The Chang Zheng 2D launch vehicle is a two-stage rocket developed by the Shanghai Academy of Spaceflight Technology. With storable propellants is mainly used to launch a variety of low earth orbit satellites. This launch was the 174th successful Chinese orbital launch and the 56th orbital launch from the Jiuquan Satellite Launch Center. Presently, only the LC-43 launch complex, also known by South Launch Site (SLS), is in use. This launch complex is equipped with two launch pads: 921 and 603. Launch pad 921 is used for the manned program for the launch of the CZ-2F Chang Zheng-2F launch vehicle (Shenzhou and Tiangong). The 603 launch pad is used for unmanned orbital launches by the Chang Zheng-2C, Chang Zheng-2D and Chang Zheng-2C launch vehicles. The first orbital launch took place on April 24, 1970 when the Chang Zheng-1 (CZ1-1) rocket launched the first Chinese satellite, the Dongfanghong-1 (04382 1970-034A). With a late start to 2013, China is preparing for a busy schedule in the next few months. Official statements point for 16 orbital launches in 2013, with the two high points of the year being the launch of Shenzhou-10 in June and the launch of Chang’e-3 lunar lander/rover in December. Other missions will see the launch of the Zhongxing-11/Supremesat-II communications satellite in the opening part of May, the launch of the third second generation of Chinese polar orbiting meteorological satellites Fengyun-3, and the launch of the Túpac Katari ‘TKSat-1’ Bolivian communications satellite. 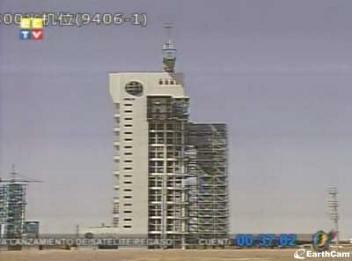 Launches for the Shijian-11 early warning satellites are also expected.